Australian Open organisers say they are hopeful of a stunning return by new mum Serena Williams in January as they raised the winners' prize money to a bumper Aus$4 million (US$3.1 million). Injured former world number ones Novak Djokovic and Andy Murray, along with Kei Nishikori and Stan Wawrinka, are set to be back in action in time for the season's opening Grand Slam in January. Williams won this year's Australian Open while pregnant, and she has spoken of her "outrageous" plans to play in Melbourne in 2018 -- just four-and-a-half months after giving birth to her baby girl. Tournament director Craig Tiley said all 100 top men and women had confirmed they intended to play in Melbourne -- which includes Williams, who is currently ranked 24th. He added that the 36-year-old's mind was firmly fixed on the tournament, which coincidentally has the same initials as her daughter, Alexis Olympia. "Her baby's initials are AO and she's suggested she should also have her name on the 2017 trophy, so the AO is well and truly top of mind for her at the moment," he said at the event's official launch in Melbourne. "If anyone can do it, she can and I'm certainly not counting her out of a return come January." Tiley also told the Melbourne Age: "She wants to come back in 2018 and defend her title. Obviously, at training now, there is several months to go. It will be up to her as far as where she is with her fitness." 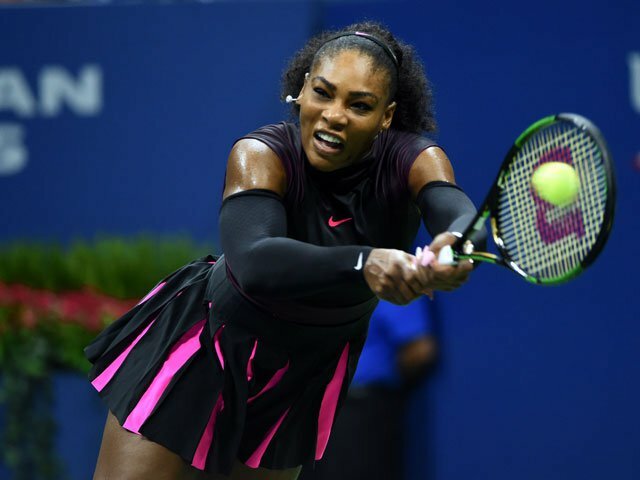 Some former stars have wondered whether the 23-time Grand Slam winner would be able to bounce back so soon after giving birth, and if she does, whether she will be able to regain top form. Roger Federer marked a stunning comeback from injury by beating old rival Rafael Nadal to win his 18th Grand Slam in an epic five-set final this year, while Serena beat her sister, Venus, in the women's decider. Federer and Nadal ended up with two major titles each this year, while the women had four different champions -- Williams, Jelena Ostapenko (French Open), Garbine Muguruza (Wimbledon), and Sloane Stephens (US Open). "I still pinch myself. When I'm home sometimes, having a glass of champagne with my friends and family we say 'this is for the Australian Open, cheers'," Federer said recently, according to an Australian Open statement. "We're still joking about it, it was a crazy moment in my life... we couldn't believe it, all the five-setters. The rivalry with Rafa, being down 3-1 in the fifth, it was disbelief. "I hope it's going to be another dream, magical run where I can just enjoy the atmosphere and play for the people," he added of the 2018 event. Tiley said it was shaping up as a fascinating men's tournament with Djokovic, Murray, Wawrinka and Nishikori all returning, but with much lower world rankings. "I'm sure they are all inspired by what Roger and Rafa achieved here in January, and what they've gone on to achieve -– splitting the Grand Slam titles between them this year," he said. Whoever wins next year will walk away with Aus$4 million, up from Aus$3.7 million last year. The total tournament purse has risen 10 percent to Aus$55 million. This year's US Open winners walked away with $3.7 million, while the French Open offered 2.1 million euros ($2.5 million) and Wimbledon paid out £2.2 million ($2.9 million).